Enya Martin - Would Ya Be Able ? 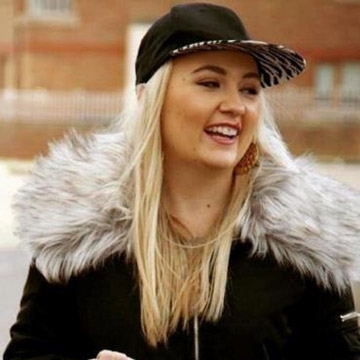 Stand up comedian Enya Martin, writer and creator of the very famous comedy video Facebook page "Giz a laugh". Enya has successfully made the transition from creating comedy videos online to performing on the the live stage. Enya is the best selling female comedian in Dublin's Vicar Street, having sold out 3 shows this year. She has performed successfully in the Laughter Lounge, Vodafone Comedy Carnival, Vodafone Comedy Festival and also sold out at this years Jest Fest in Wexford. Enya's stand up show is pure comedy dynamite. Family, boyfriends, shop assistants, self serve scanners and taxi drivers are on her hit list... plus many many others. But does she have a soft side? Is the repeal the 8th available on the medical card?